Happy Halloween, readers! The celebration of Halloween has morphed from its origins in religious history — All Hallow’s Eve, or the night before All Saints Day — to something generally irreligious with no spiritual connotations to most who participate. In Italy, All Saints Day has been a religious festival for centuries, and Halloween is a newcomer. Here’s a link to an article about Halloween in Italy on a website I recently found, and will be visiting regularly, called ItalyMONDO. They also have an excellent post about Wines of Abruzzo which you might enjoy! 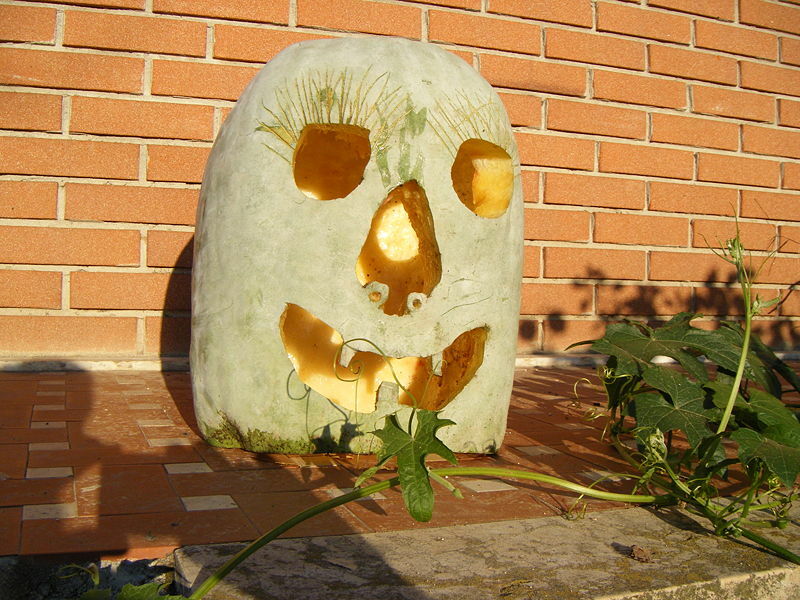 This entry was posted in Blogs and tagged halloween, Italy, italymondo, jack-o-lantern. Bookmark the permalink. I’m sure the American presence has its effect! I was very surprised by the costumes we saw in Italy at Carneval–very Halloween-like to me. Wish I had a photo of the two (adult) dalmatian ‘dogs’ we saw getting into a small car in Sorrento and driving away. Are there other ‘costume’ holidays in Italy? only one I know of is Carneval….was just as surprised to see the Halloween costumes in stores in February! :) Thanks for your visit to “The Italian South” Jennie! S’funny I actually almost forgot it was halloween here… they really don’t make a big deal out of it at all! I don’t make too big a deal of it here either! But that’s just me–where I live now, we’ve never had kids come by for candy. In our old neighborhood, there were hundreds, and it was fun seeing the costumes. Now I see them on Facebook!